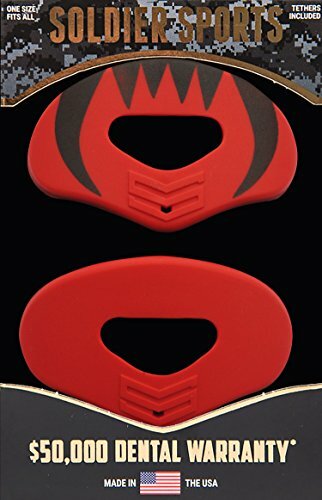 The Soldier Sports elite air Lip protector mouth guard offers the largest air flow channel in the industry! countless hours of research were done to develop the high impact absorbing proprietary blend of material. We don't just claim to be the best, we put our money wear our mouth is! Soldier Sports original products were developed for military combatives. We put that development research to the test and now offer you the best Lip protector mouth guard on the planet. If you have any questions about this product by Soldier Sports, contact us by completing and submitting the form below. If you are looking for a specif part number, please include it with your message.